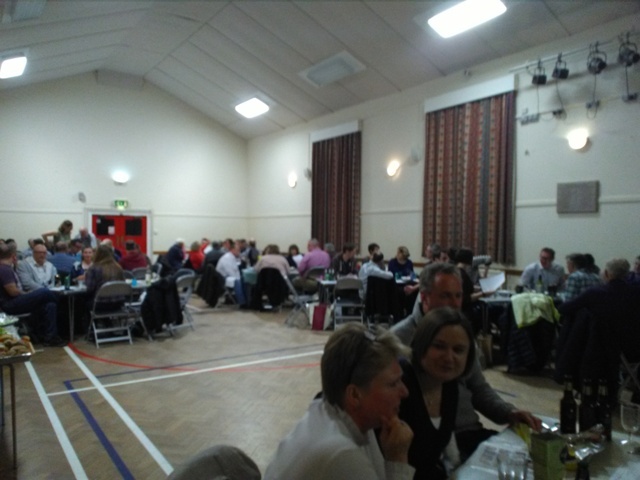 Another fantastic quiz was held at the Brookwood Memorial Hall on Saturday 10th March 2018 with over 80 people taking part on the night, raising funds for the 1st Brookwood Group. Our thanks to those that came along and everyone involved in the superb organisation of the event. We look forward to next year’s event! On Saturday 18 March 2017 the 1st Brookwood Group Scout Executive Committee held the annual quiz night at a packed Brookwood Memorial Hall. 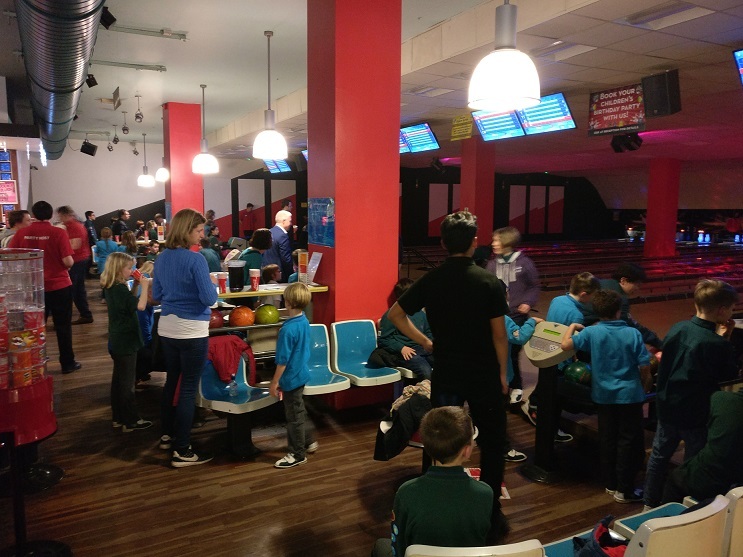 The event was the main fundraising activity for the year and raised over £1,000. It was wonderful to see such support from the local community and we would like to say a big thank you to everyone that came along, especially the volunteers who prepared and served the curry and ploughman’s, those that organised the raffle and of course the quiz master and helpers who prepared and delivered a brilliant set of rounds. 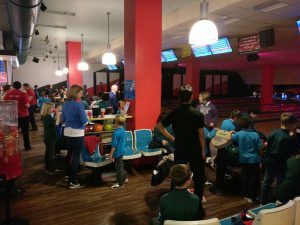 Games of heads and tails and rolling £1 coins towards three mystery bottles added to the enjoyment on the night and assisted the fundraising effort. We look forward to next year’s event. 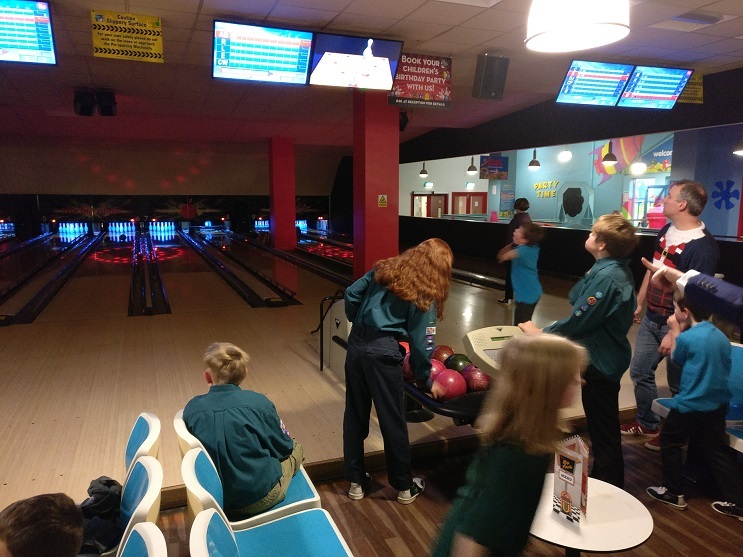 The end of year party in 2016 for 1st Brookwood Scouts, with bowling and pizza for everyone, with 60 scouts, cubs and beavers attending. A big thank you to all the organisers and leaders who helped out, it was a really awesome night. This brings to an end another year for the group, with plenty to reflect on. Our Scouts are building a track record of success in their competitive activities, becoming the team to beat in orienteering. After many years of key support for the group, some leaders will be moving on at the end of this year to Scouting pastures new, with our sincere thanks and appreciation. It has also been inspiring to see a large number of new volunteers step in to fill the gaps and build on the examples that have been set. 2017 is set to be an exciting year.